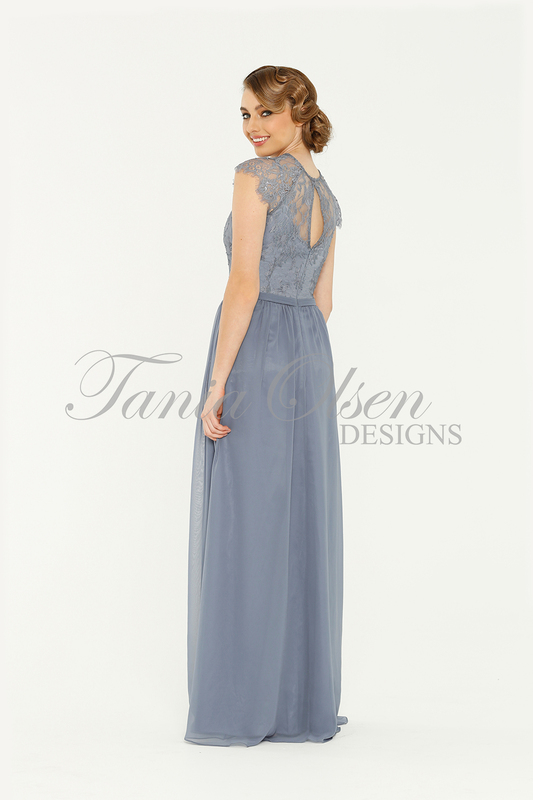 A truly feminine style, the Camilla Bridesmaid Dress showcases a vintage-style beauty. 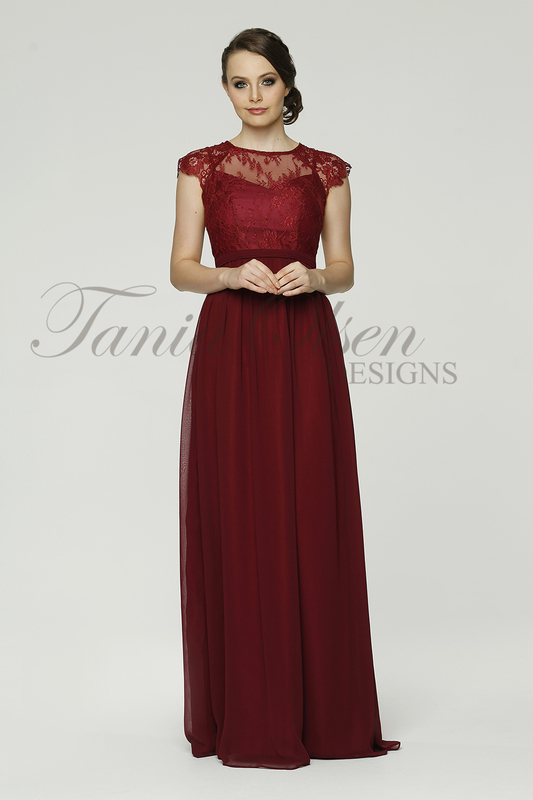 Enchanting and elegant, the Camilla can also be worn as an evening or formal dress. 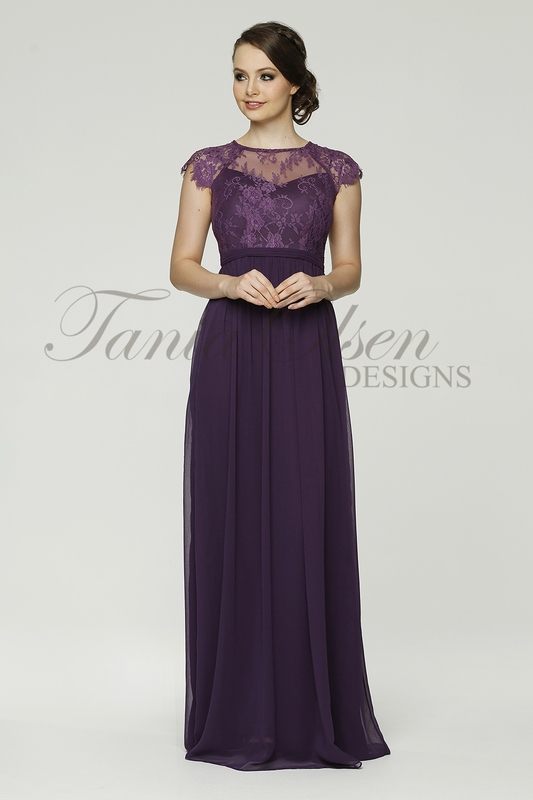 Introducing the perfect dress this wedding season, the Camilla Bridesmaid Dress. Comprised of a delicate bodice of intricate lace, the Camilla style encompasses all things romantic with a vintage twist. 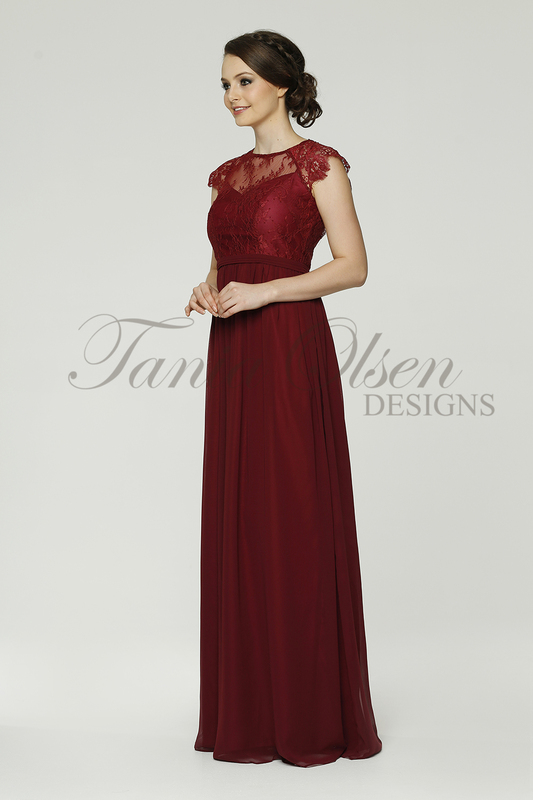 This dress features a high-cut sheer neckline, intricate raglan sleeves, and a beautiful key-hole back design. An ultra flattering piece, the Camilla style suits any silhouette, cinching in at the waistline, with a floor length georgette skirt. Available in 20 colours, mix and match your bridesmaids to create the perfect bridal party. 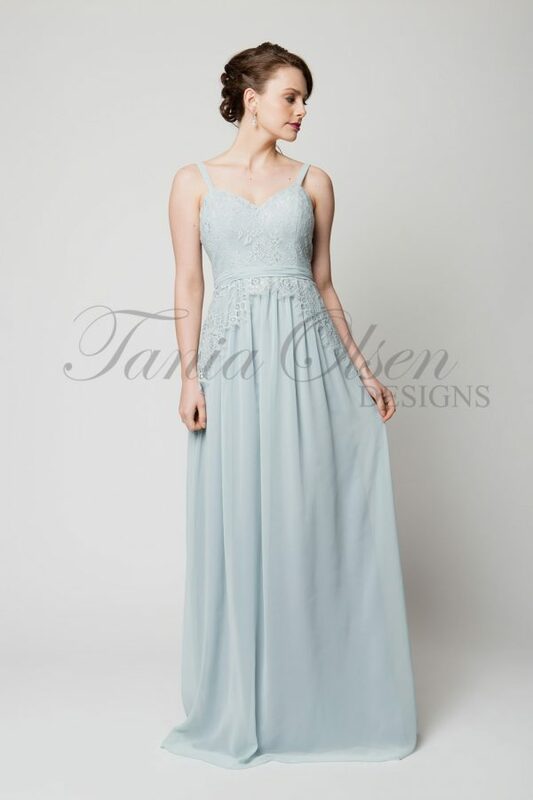 This gown is available from sizes 6-30. To identify your size, measure your bust, waist and hips and refer to the sizing chart – make sure the waist measurement on the chart is the same or larger than your own. Contact Sentani to make a custom coloured order – please note custom orders have a 10-12 week lead time.